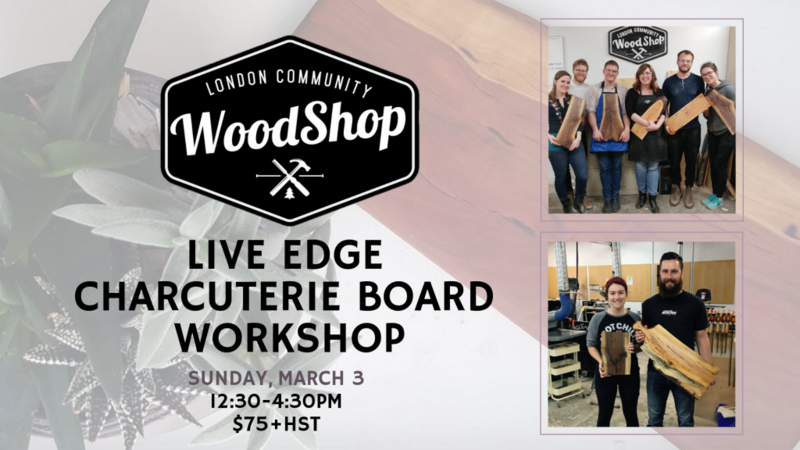 Craft a beautiful live edge charcuterie board from spalted maple or black walnut. You will have the opportunity to use our mitre saw, planer, and sanders. Optionally, shape a handle into your board with the bandsaw and router table. Couples welcome! Register online or in store to reserve your spot! Our Spring Workshop list will be up soon, so stay tuned!